Would wewe say that Charizard is overrated? Would wewe like to see Charizard zaidi available in the games? Favourite Person who has owned and own's a Charizard? Which name do wewe prefer? Charizard au Lizardon? What do wewe think is Charizard's best move? a comment was made to the poll: Will Ash's Charizard and Sceptile ever battle? a comment was made to the poll: If wewe could be a pokemon,would wewe be a charizard? 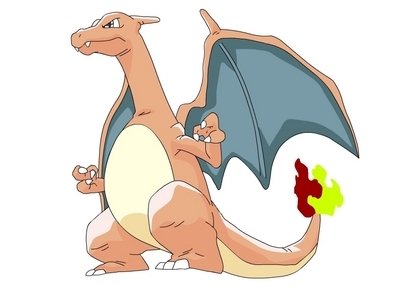 On the Anime, the colour of the inside of Charizard's are Green, but in the game what clour are they? Why is Charizard your favourite pkmn?